Click on the VIRTUAL MEDIA link to see the video. This End Unit townhome is light, bright and clean. Outdoors it borders a large grassy space. And inside it offers big open spaces. It has two Master Suites, one on the main level and one upstairs. The upstairs space has a lot of flexibility and can be adapted to various uses, with a large open loft overlooking the first floor. Two and a half baths. 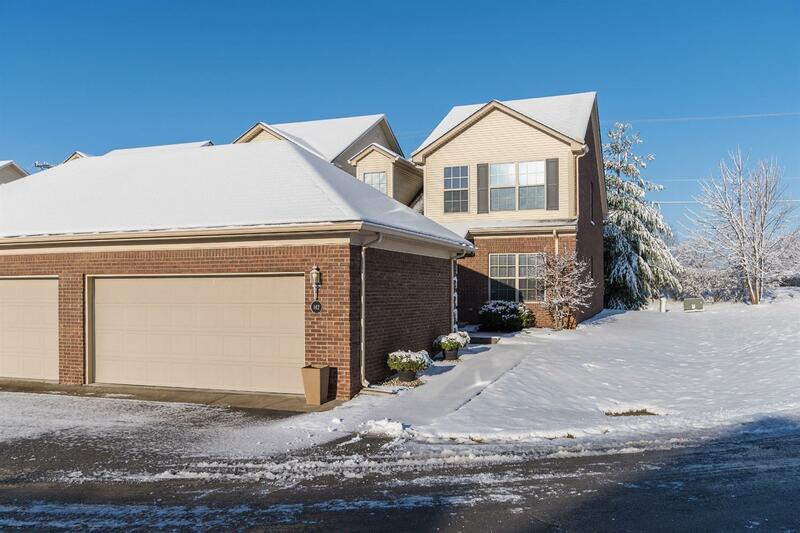 2 car garage, tall ceilings, vaulted and tray ceilings, and great finishes. The back patio feels private, backing to a row of beautiful tall pines. Conveniently located near dining, shopping, and interstate access; the location can't be beat.